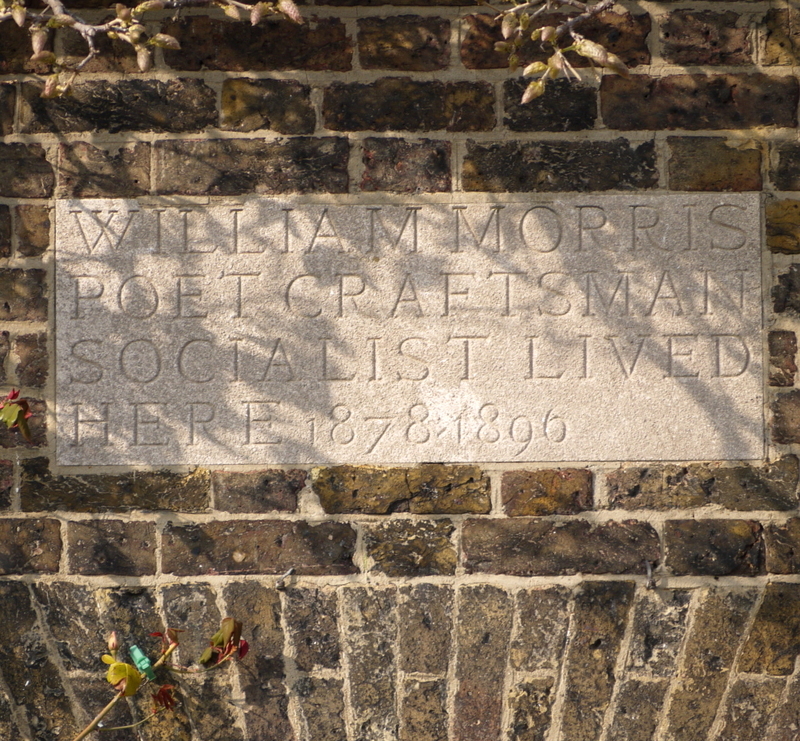 William Morris, poet craftsman socialist lived here, 1878 - 1896. The small building was built as the coach-house to number 26. 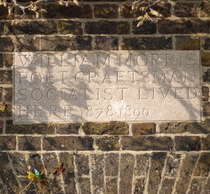 The Ronalds and Hammersmith Socialists plaques are on the small building (which is also the Kelmscott House Museum and HQ of the William Morris Society). The MacDonald and Morris plaques on the main building are covered in foliage, so our close-up photographs were taken separately in winter. George Macdonald, poet and novelist, lived here 1867 - 1877. Unveiled to coincide with the start of LGBT month, by Toyah Willcox.